Thank you! and being the old knight he is he'd prolly end up with estrid or one of sven's girls. lol I like shapeshifters, especially if it's influenced by the old stories about the mythical coyote. I like that 1600 explore style and I like the look of western blades; like a broadsword or rapier. what do you mean by "Main Gauche"? 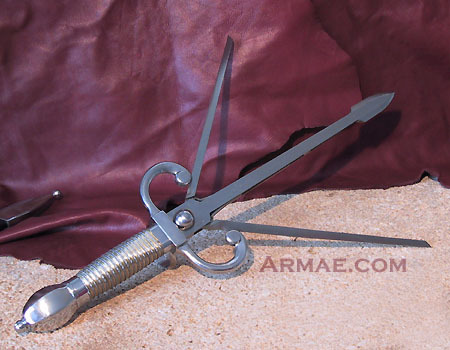 the main gauche is the knife that accompanies the rapier. specially compaired to a loli. five"nines not that short. :L specially compaired to a loli.